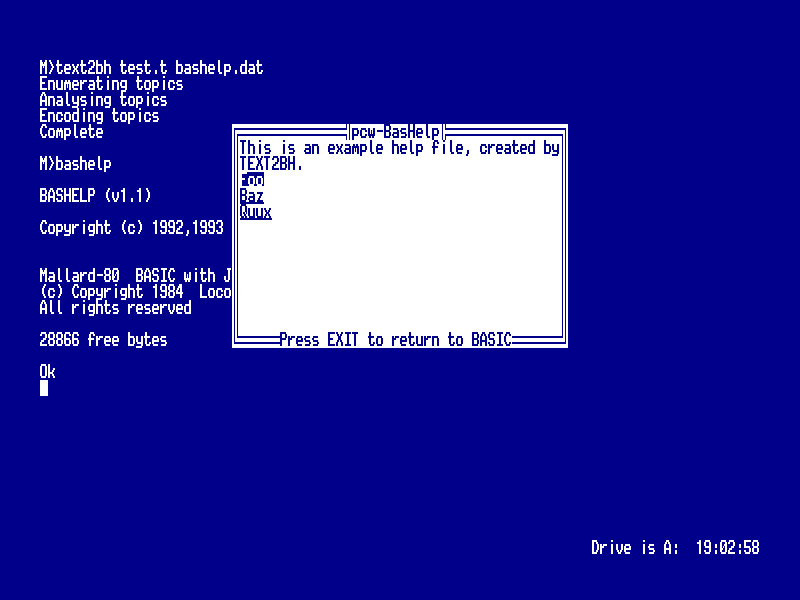 BasHelp is a memory-resident help program for the Amstrad PCW, designed to add pop-up help screens to Mallard BASIC. When launched, it relocates itself to the top of memory and loads BASIC.COM. It will not work if BASIC.COM has RSXs attached. When the user presses ALT+F1, the help index is displayed. If they press SHIFT+ALT+F1, the word immediately to the left of the cursor is used as a search term. An exact match takes the user to the appropriate topic; otherwise, the page of the index starting with the first letter of the topic is displayed. Once the obfuscation is removed, the file consists of a list of topics, each topic made up of a number of pages. The first topic is the table of contents. The BASHELP.COM utility expects the first topic to be the table of contents, and to consist entirely of links to all the other topics. I have written a pair of utilities that can convert a BASHELP.DAT file to plain text, and vice versa. 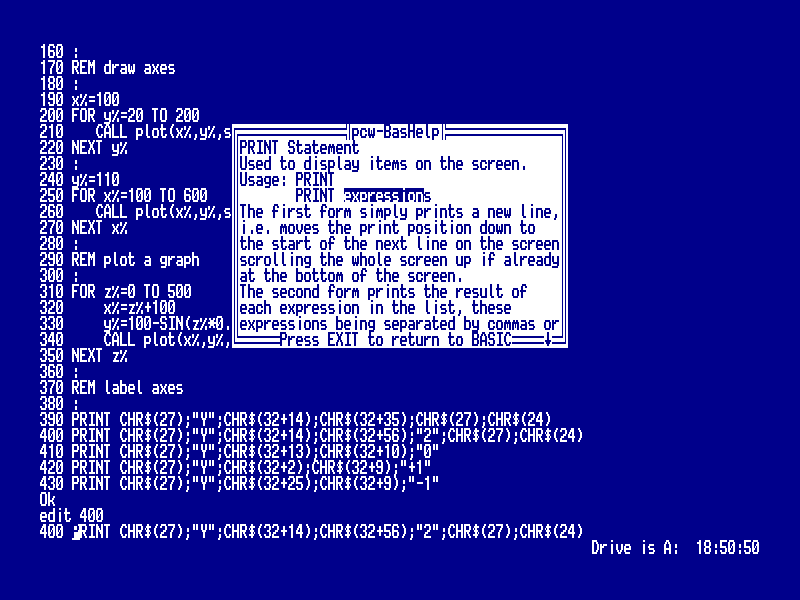 They are supplied as COM files (for CP/M) and C source, suitable for compiling on a modern UNIX or Windows system.